Panorays automates third-party security management. The platform enables companies to easily view, manage and engage on the security posture of their third parties, vendors, suppliers and business partners. The platform inherently combines a continuous hacker’s view of the evaluated company together with internal policy enforcement. 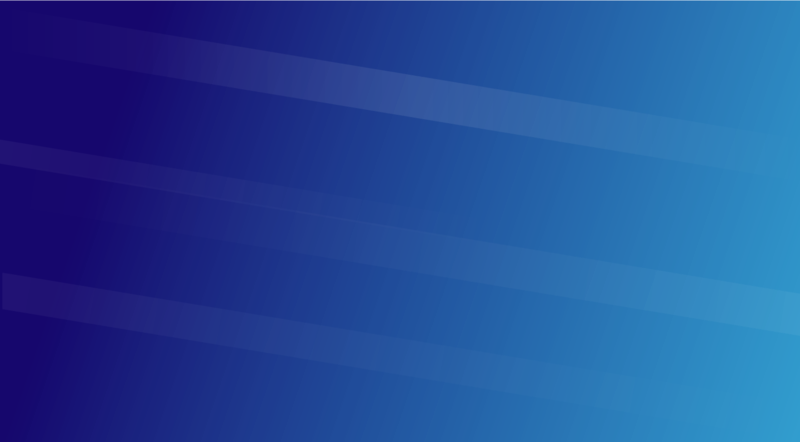 With the Panorays platform, companies dramatically shorten their third-party security evaluation process and gain continuous visibility while ensuring compliance to regulations such as GDPR and NY DFS. Panorays is a SaaS-based platform, with no installation needed. Matan brings his entrepreneurial background addressing untapped markets with his experience in building enterprise-focused security solutions. In his role, he combines his technical background with business leadership and vision. Matan established his first startup at the age of 18, and others ranging from location-based systems to cyber-security. He started Panorays with the goal of improving the industry’s cyber-resilience. Matan served in the Israeli Air Force as chief architect responsible for mission-critical defense systems. Later, he worked at Imperva leading the infrastructure for all of Imperva’s products portfolio. Matan is recognized as one of Israel’s 40 under 40. Meir brings to Panorays his experience in introducing innovation and processes to teams, while mitigating the rippling effect of their associated costs and risk. Having led large IT teams for the past 25 years under strict deadlines and limited budget, Meir recognizes the dire need to automate processes and prove efficiency. Meir is a retired Lieutenant Colonel from the Israeli Air Force. There, he held roles equivalent to CTO, CIO and Head of Innovation. His responsibilities included mission-critical applications, architecture, and security. Demi brings to Panorays his expertise in building communities and networks - both online and offline. His technical background enables him to provide visibility into companies’ seemingly blind spots and build large systems to empower users through insight-sharing. Demi is a recognized Google Developers Expert, co-founder of “Big Things” - one of the largest Big Data communities - and of the local Google Developer Group Cloud. He is a renown international speaker, presenting Big Data solutions and distributed and scalable systems to both technical and management teams. Elad brings to Panorays extensive cyber-security knowledge across all levels, from reversing and low level hacking to Web applications and social engineering. 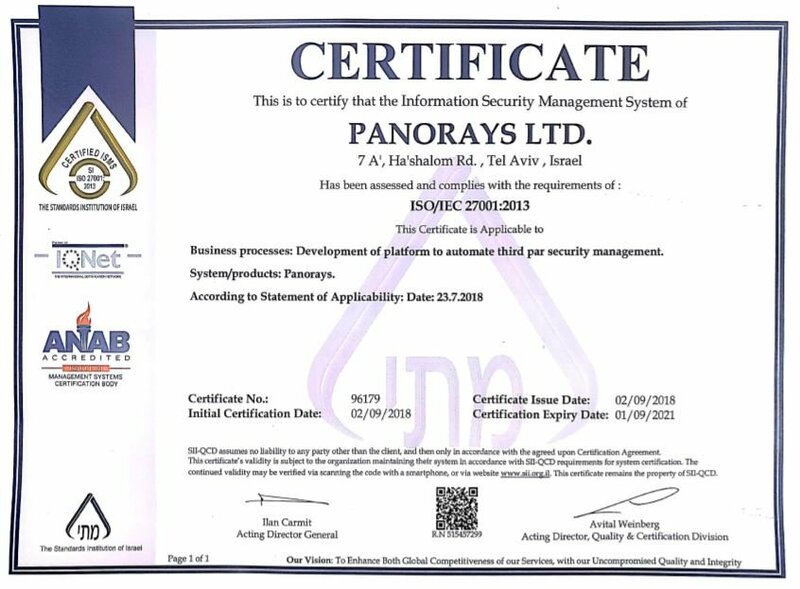 At Panorays, Elad and his team are responsible for “mimic-ing” hacker behavior by researching new attack techniques and vectors in order to automatically test the security posture of companies en masse. Elad is a recognized speaker, having presented at various hacking conferences such BlueHat IL, ReCon and Defcon meetups. Prior to Panorays, Elad was the Mobile Security Research Team Leader at AVG technologies. Noa brings to her role a wide range of experience in the security industry, including strategy, communications, positioning, demand gen, as well as technical research. Previously, Noa was VP Marketing at enSilo. Before that, Noa was an independent security strategist, consulting security startups on their strategy, analyzing market trends and branding their research as a marketing tool. She has also served as a mentor in the Microsoft-Akamai cyber-security accelerator. Prior to her consultancy days, Noa was a senior security strategist at Imperva and was also a regular contributor for SecurityWeek. Noam brings his combined experience in product management and security. In his role he develops the product roadmap, ensuring that customers receive the data they require in the most simplified manner. He works closely with the platform users, so that they too take a role in shaping and developing the platform. Prior to Panorays, he was the Director of Product Management at WalkMe, leading the product team throughout a 2,000% customer-base growth. Prior to WalkMe, Noam was a security product owner at Intel, responsible for the design and implementation of innovative secured connectivity solutions. We’re honored and proud to have these distinguished security luminaries and international investors backing us up. Whether it's for product strategy or funding, we’re lucky to have these partners. Attending one of the events below? Stop by and say hi. Tell us about your challenges and we’ll work together to help you. Coming to RSA 2019 in San Francisco? We look forward to seeing you! Come meet us at SecureCISO New York, April 11, 2019. We don’t believe in a laundry list of requirements – we believe in the individual. We want to know who you are, the projects you’re proud of, your talents. Superstars to ﬁll in all positions, from research and engineering to international sales. Tell us more about your accomplishments, we’re happy to hear. Fill in the contact form and a Panorays team rep will get back to you ASAP by email or phone, whatever you prefer, to better understand your needs.